The Intel Core i7-7800X offers an incredible 28 PCIe-Lanes for GPU connectivity as well as allowing NVME-SSDs direct access to the CPU and maintains a 3,5 GHz base clock. When required this CPU can activate all cores with Turbo Boost 2.0 and increase the frequency to a 4,0 GHz boost clock with Boost Max 3.0 even allowing a maximum 4,5 GHz to be reached. Thanks to the unlocked multiplier the Intel Core i7-7800X can also be overclocked even further. Sufficient cooling is important for overclocking since the TDP of the CPU reaches 140 Watts prior to overclocking. Apart from the unlocked multiplier the extreme CPU offers further OC features. Access to the PEG/DMI allows PC enthusiasts and overclockers to alter the PCIe Clock independently of the CPU's Base Clock in order to increase PCIe bus bandwidth. Extreme overclockers can even overclock the RAM via PLL Trim Voltage using IMC fine tuning under LN2 (liquid nitrogen) with ease.. The 6 cores of the Intel Core i7-7800X are essentially doubled using Hyper Threading, meaning up to 12 threads can be processed simultaneously by this Extreme CPU. As a result the Intel Core i7-7800X is not only a true performance beast in all things gaming, but also handles even high-res 4K video and VR content with ease. Additionally the maximum of four DDR4 memory modules using a Quad-Channel interface can reach a frequency of 2.666MHz without overclocking, a frequency easily attainable on virtually all X299 motherboards. 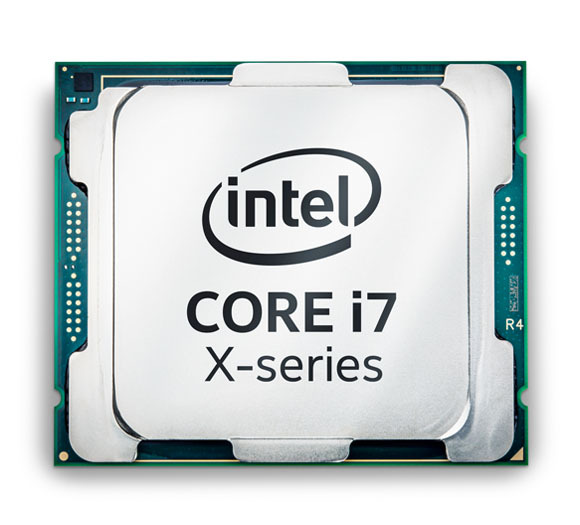 More links for "Core i7-7800X 3.5GHz (Skylake X / Basin Falls) Socket LGA2066 Processor - Retail"